Nursing home abuse cases are one of the highest awarding personal injury lawsuits because these acts are often deliberate and malicious. If you suspect nursing home abuse or neglect is happening to your loved one, you should meet with an attorney and discuss your particular situation. Any time a nursing home resident is neglected or abused, the authorities should be notified as well. An official investigation not only helps your claim – but also ensures that others do not suffer the same fate. Many cases of elder abuse and neglect involve those who have a trusted relationship with their victims – such as adult children, nursing home staff, and other family and friends. Compensation in these types of cases comes in numerous forms, including restitution to the victim, the community, and correcting the behavior of the defendant. What Is Financial Restitution or Compensation? Medical Expenses – Any medical costs associated with the abuse or neglect, including medical care received, future medical costs, hospitalization, surgeries, and in-home nursing care. Transportation Costs – Includes the cost to transfer the victim to and from the nursing home, moving to another nursing home, and the transportation costs associated with medical care. Pain and Suffering – Any mental, physical, or emotional pain that the victim encounters because of the abuse and neglect may be compensated. Reimbursement for Nursing Home Fees – Victims and their loved ones pay nursing homes to care for them. Therefore, any fees paid to a nursing home that abuses or neglects that client may be reimbursed. Funeral and Burial Costs – If the victim dies from their abuse or neglect, then the loved ones can seek compensation for the wrongful death, including payment for funeral and burial services. When Does a Case Qualify for Compensation? Numerous types of elder abuse can result in compensation. First, you must establish that there was negligence involved. In the nursing home setting, neglect often comes in the form of direct, physical abuse. However, neglect can also happen indirectly from understaffing, lack of hygiene, and lack of attention. 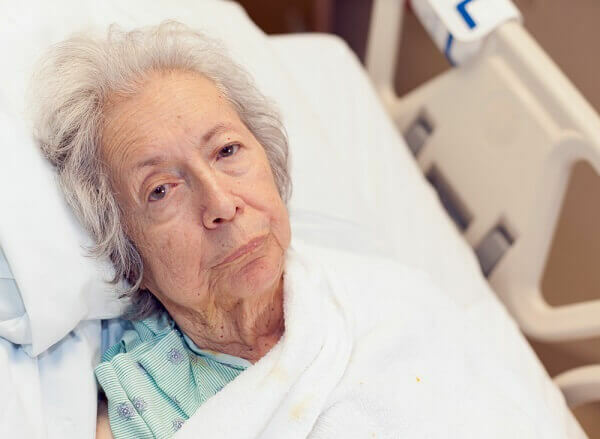 This lack of care can result in illness, worsening of the patient’s condition, depression, bedsores, medication errors, and other signs of inadequate care that would qualify as negligence. Physical Abuse – This consists of bodily harm that impairs or causes physical pain to the victim. Sexual Abuse – Including unwanted sexual contact, advances, and any sexual abuse resulting in physical, emotional, or mental damage. Emotional or Psychological Abuse – Sometimes abuse is not physical, but psychological. In this case, it includes verbal abuse, social neglect, and emotional trauma. Financial Abuse – Another common type of abuse that many do not recognize right away is financial abuse. This involves financial exploitation, fraud, changing legal documents to benefit the defendant, and stealing funds from the victim. How Much Is a Nursing Home Case Worth? Determining the value of a nursing home case requires a trained legal eye. Compensation for these types of situations is complicated, and numerous factors play a role in determining how much compensation a victim and their loved ones may receive. Economic Damages – Actual costs that have been taken on by the victim and their loved ones, including medical expenses, loss of income, loss of earning capacity, specialty fees, and legal fees for the case. Non-Economic Damages – Including emotional trauma, pain, suffering, or the death of the abused. Punitive Damages – While not awarded in all cases, this compensation value is designed to punish the defendant and serve as an example to the public to deter similar behavior from others. The hardest part of a nursing home abuse or neglect case is proving that damages apply in your situation. If you are making a legal claim against a nursing home or caretaker, you must demonstrate to the court that your loved one has been damaged by the abusers negligence. Once you show actual harm that the neglect has caused, then you are a big step closer to recouping a monetary damage award. It may not make you or your loved one whole, but it is the only tool that the justice system has to assist the victim while holding the abuser responsible. The first step is filing a civil lawsuit against the defendant. In a nursing home abuse case, that typically includes the nursing home, staff, or a specific caretaker. The complaint is filed with your court clerk in the county or state where the abuse occurred. Showing how the nursing home owed you a duty of care. Proving the nursing home breached that duty of care. Connecting the breach of duty to the injuries sustained. Showing that the victim suffered real harm because of the breach. While nursing home abuse cases do settle out of court a majority of the time, that does not mean you are required to take a settlement offered to you. It is in your best interest to speak with an attorney regarding your case and determine if a settlement is right for you. Some victims find that settling is easier than taking their case to trial. An attorney can help determine if a settlement offer is fair and whether a higher settlement might be possible at trial. Nursing home abuse cases are complicated. Therefore, if you suspect abuse, it is vital that you realize these are mere guidelines and no two cases are alike. It is in your best interest to speak with a nursing home abuse attorney in the area and explore your options for compensation. Only an attorney can give you an adequate estimate of how much your nursing home abuse case is worth. For your case, schedule a free consultation with The Law Offices of David M. Benenfeld P.A P.A today. Call us at 954-677-0155 or request more information online.